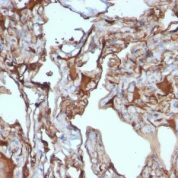 The human CD146 gene maps to chromosome 11q23, encodes a trans-membrane glycoprotein, also designated MCAM, MUC 18, that belongs to the immunoglobulin superfamily, functions as a Ca2+-independent cell adhesion molecule. 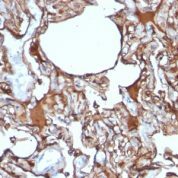 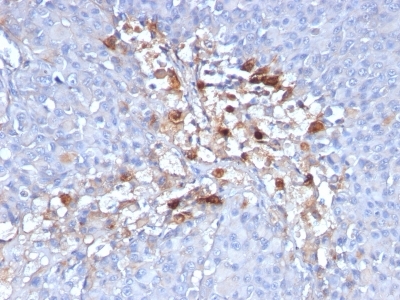 CD146 expression is restricted to advanced primary, metastatic melanomas, to cell lines of the neuroectodermal lineage, but not normal melanocytes. 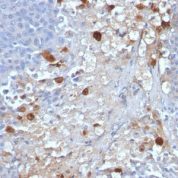 CD146 is found on 80% of advanced primary human melanomas, correlates well with development of metastatic disease.